Let me start with a hard truth: Being passionate about what you do is not enough to get nutrition clients and succeed in business. And like every other new entrepreneur out there, you’ve quickly realized that getting new clients for your business is one of the most important things you need to start doing. First, no one ever taught you how to get new consulting clients. It’s scary, intimidating, and frankly, you’re not even sure where to start. Then, everybody is trying to sell you on email lists, webinars, and expensive programs. You’ve literally just finished school: You don’t have a list, let alone hundreds of dollars to spend on Done-For-You programs. All you really want is to start working with clients so you can help them improve their health and live better lives. You’re eager to apply the knowledge you acquired and use all the amazing skills you learned in school. Luckily enough, I’ve already gone through the grind of starting a new business from scratch (twice, actually!). In this article, I’m going to share with you my 7 most practical and actionable strategies to help you get nutrition clients for your young business. 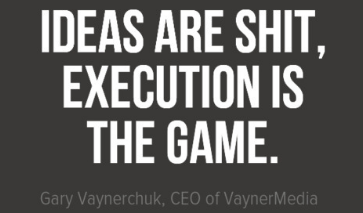 The strategies listed in this article are all very cheap to execute (most of them are absolutely free) and can be put into action right away. All you need from here on out is a phone/computer, and basic liability insurance to cover you as a nutrition practitioner (don’t skip over that one!). Although these tactics are easy to implement, it doesn’t mean that you’ll get to just sit back and see your new nutrition clients come rolling in, one after the other. You’ll have to spend time reaching out to people. When fear wants to take over and make you stop, you’ll have to keep moving forward. You’ll have to spend time learning from your mistakes. Nothing will happen if you don’t put in the work. 2 – Read that tactic, and nothing else!! Let’s stay focused here. 3 – Put in the work. Go out into the world and APPLY what you learned! 4 -Don’t give up too soon. Unlike what Facebook Ads promise you, success isn’t built overnight. 6 – Come back to point #1 and repeat the process with a different tactic. By following this process and NOT reading the whole article at once, you will avoid the TMI Syndrome (Too Much Information Syndrome) that leaves you sitting on your bum crying and unable to do anything. So get skimmin’ those headlines and good luck to you! Use this fillable worksheet to apply the tactics you learn in this blog. Stay focused and start working to get more nutrition clients TODAY. This is the FIRST thing you should do when looking to get nutrition clients, especially if you’re fresh out of school and are just starting your nutrition practice. You’ve spent months (if not years) building relationships with your friends and family members. These people know you, like you, and trust you already. Throughout the exchange, stay focused on asking THEM questions, and make sure you listen carefully and answer appropriately. When they ask about you, tell them about your new nutrition business and how passionate you are about helping people achieve their health goals. 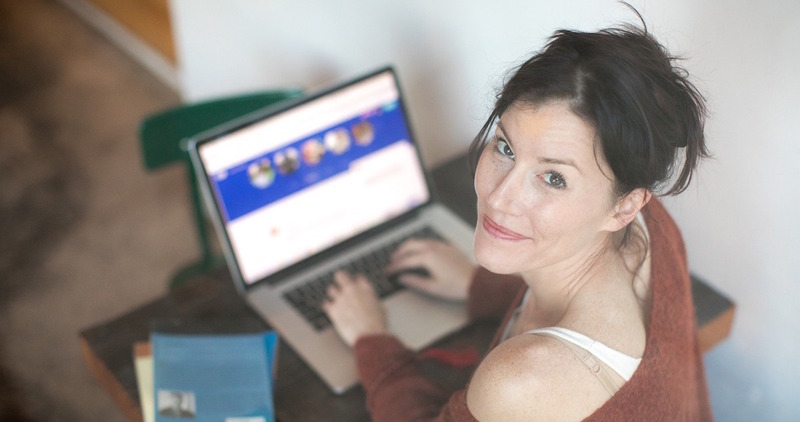 Mention that you’re currently taking on a handful of new clients and that you’d be happy to hop on a call with them if they were interested in learning more. I bet you have at least 150 people sitting in your contacts that you could start emailing right now. Let’s get emailing, young grasshopper! It’s true that Twitter might not your favorite hang-out spot. After all, everybody’s talking about Instagram, Facebook, and Snapchat these days. People actually use Twitter to ask questions and seek out help! 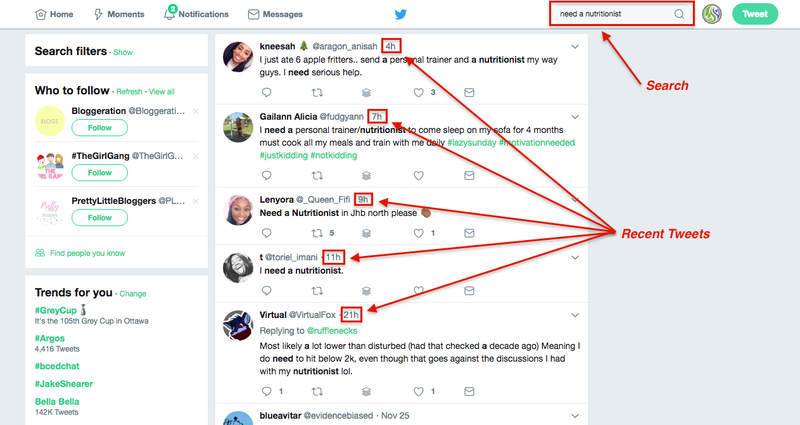 With a simple search like “need a nutritionist”, I found 5 relevant tweets from the last 24 hours, 4 of them asking for help. Sure, these might be humorous tweets… But it doesn’t prevent you from engaging with these people and make yourself known! Later on, when they have a REAL question about nutrition, guess who they’ll reach out to first? You can get creative with your searches but start by combining one “A” word and one “B” word to get the ball rolling. If you want to go the extra mile, create a spreadsheet listing the handles of the people you tweeted at, the date, and the topic you discussed. Check-in with these folks every 4-6 weeks to see if they need any help with nutrition advice. When I started my personal training business (without a list, a following, or even a gym to train out of), I went all-in on Twitter with this exact tactic. Within 2 months, I had 5 personal training clients, training with me once or twice per week on a 6-month contract. All of these clients came straight from Twitter. Before you go ahead and use this tactic, make sure that your Quora profile is up to date. You should display a quality profile picture, as well as a complete biography and your list of credentials. Quora.com is a question-and-answer site that has been on the rise for the last few years. While it’s popularity is growing rapidly, there are still a lot of unanswered questions on there. 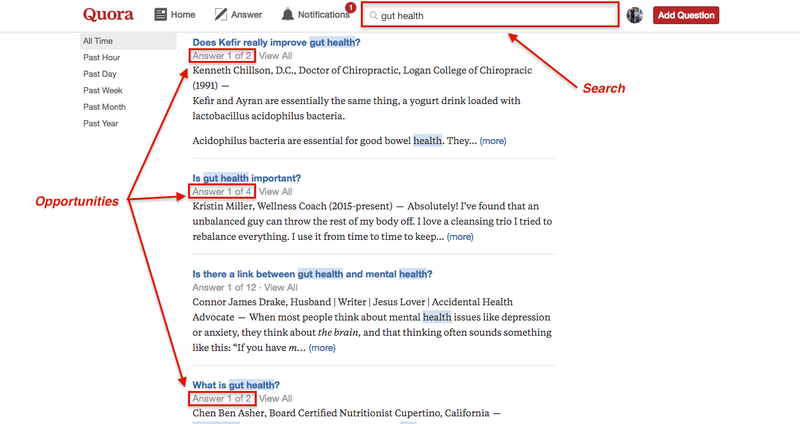 One quick search for “Gut health” showed multiple results with only 1-2 answers. This is your chance to shine! Spend some time searching for the topics that you are most familiar with. Then, proceed to give the most complete and thorough answer possible. Your goal is to become the #1 reference for your area of expertise. You can even take it a step further by creating a short video response that you post on your Youtube channel. Embed the link in your answer for an extra-personal effect! “Look for charities that you LOVE and that ideally fit your target niche. If you focus on women, look for women’s shelter support groups. If you specialize in mental health, you might donate to the CMHA (Canadian Mental Health Association). But before you contact anyone, create a flyer with Canva outlining what your gift package includes (I often offer 2-3 sessions with a meal plan). List the retail value of your offer, along with a photo of yourself and a logo or website link. Canva has preset gift certificate layouts for free, so this shouldn’t take you very long! Once you’ve found the charities that you want to work with, send them an e-mail detailing your offer. Ask them when their next event will be held and whether or not they would consider using your gift at that time. I’m a nutritionist locally [add a little about yourself, your business and your values]. Many fundraising auctions promote their goods on social media, community platforms and at other events. Showing up at these events is a great way to make valuable connections. The person who ends up winning your package will often continue to choose you for their nutrition services, and refer their friends to you as well! This is an opportunity to break into a new market and meet people who share your values – a beautiful thing to have in common with a client. The hardest thing to do in marketing is to break through the noise and get peoples’ attention. You can easily set yourself apart from the competition by becoming the nutritionist of reference for companies in your area. 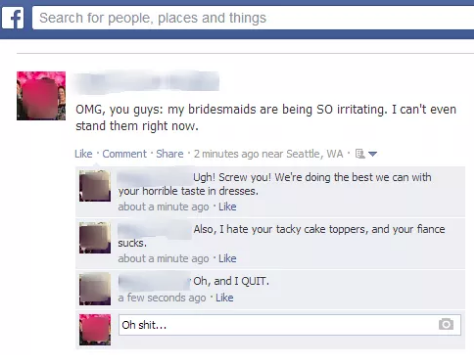 Use your Facebook network to send out your offer. Ask your friends to mention it at work, and do what’s necessary to follow up and book a few dates. ● Aim to solve a specific problem. Your talk should be focused on a topic that’s relevant to your audience (recent news break? Tips for busy professionals? Etc…). Always have a single takeaway point that you come back to multiple times throughout the presentation. ● Make your presentation fun and engaging. Know your lines, look people in the eye, ask them questions, and wear that big bright smile on your face at all times. ● Keep a 1:1 ratio of presentation to Q&A time. That might sound like a lot of question time, but in reality, people would much rather have their questions answered than have someone speak to them for an hour. ● Have a small incentive for the first 3 people who ask questions (i.e. a box of organic tea, etc…). This will help get the conversation started. ● If people are still having a hard time getting started with questions, trick them into talking my asking them questions yourself. ● Have a special offer for the group or a complimentary consultation for those interested in learning more about your services. You can raise your chances of booking a consult by limiting the number of spots available. If you want to get nutrition clients from these events, you have to focus on providing as much value as possible during each interaction. Become indispensable to those people and reap the benefits! This is a great way to establish strong connections in the industry and secure a steady stream of referrals and potential clients for your nutrition business. This simple tactic is overlooked by the majority of nutrition professionals. Offer to do a free talk, organize a workshop or provide informative handouts to local clinics and build positive relationships with the managers. 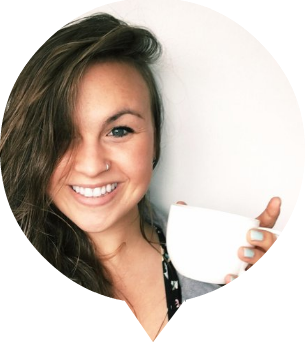 If they ever need to refer someone out to a nutritionist, you’ll be at the top of their list! Workshops are a great way to get involved with your community, share your passions and get more nutrition clients for your biz. Approach local schools and offer to organize an hour-long workshop for the parents. You could show them how to create a family meal plan for the week, or help them come up with healthy snack ideas for the kids. Have a stack of informative handouts available for the parents to take home with your business card attached. Parents always want what’s best for their children, but time is often limited. They might require your help to build the meal plans for them or even show them how to get organized to meal prep on the weekend. More and more local cafes are offering small workshops on healthy eating and sustainable living. This is your chance to showcase your expertise in front of a new audience and potentially get nutrition clients signed up. Just as you would do with a lunch and learn event, make sure you show up prepared and with a relevant topic to tackle. Make your workshop as interactive and engaging as possible: it’s been shown over and over again that people learn (and remember) more when doing something, rather than just listening to a talk. If you’re interested in running your own group events one day, you should start by learning how more experienced nutritionists do it first. 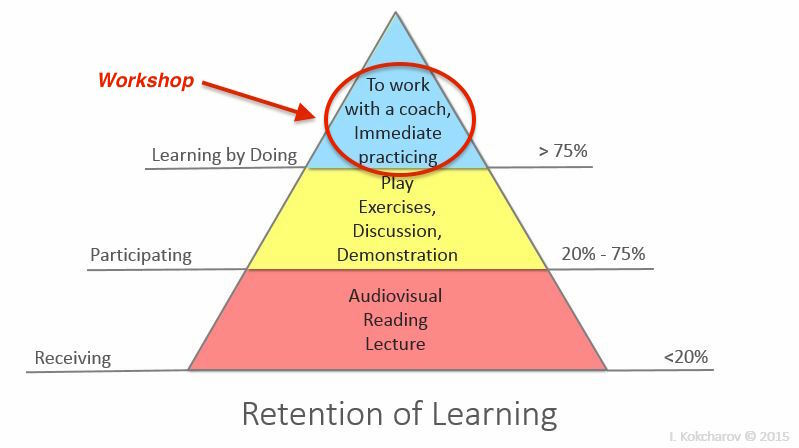 The easiest way to do this is to volunteer to help another practitioner deliver their class/workshop. 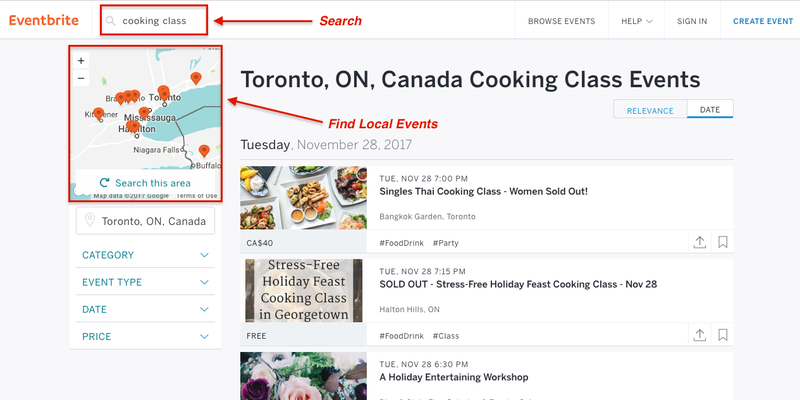 Use Eventbrite or other similar websites, and search terms like “cooking class” or “nutrition workshop”. See what pops up in your area! You can then use this email template to reach out to them and set up your first volunteering experience. I studied holistic nutrition at [insert school name] and graduated on [date]. While searching for cooking classes in my area, your website came up and was highly recommended. I would like to make myself available to assist and help out with one of your events. My goal is to gain experience so that I can one day run my own classes. I’m available on [insert dates of next 1-2 events] to help out with your next cooking classes. You can reach me at [phone #] or [email address] if you would like to discuss this in person. Often times, nutrition pros who run successful group event have TOO MANY prospects and don’t have time to work with all of them. As a result of this, a possible side effect of being a good volunteer is that they might need you to take on clients that they don’t have time to work with. As you start working with more and more people, take advantage of our online consulting forms. You can easily send them to your clients via email and will receive the results directly to your inbox. These forms are easy to fill out online and will upgrade your practice by saving you time while providing your clients with a better experience. Which tactic did you pick? What action are your going to take today to get more nutrition clients? Share your #1 pick in the comments below, and we’ll check in with you in a few weeks to see how you’re doing!